High School - Pool locker room addition, Nutrition and Science Lab renovation, pool surface and sanitation system upgrades, new asphalt parking lots and tennis court resurfacing. Creekside Intermediate - New Team Building, bleachers and pressbox at AL Ritt Stadium, roof replacement, new flooring in cafeteria and a new safe and secure vestibule in building entrance. Bates Elementary - Replaced unit ventilator components and installed new boilers/heating plant. Wylie Elementary - Extensive Natatorium upgrades and pool mechanical room addition including complete HVAC replacement. Cornerstone Elementary - New flooring throughout, boiler replacement and new playground equipment. Mill Creek Middle School - New flooring throughout, boiler replacement, a complete replacement of the existing pneumatic temperature control system with a new DDC system and various site improvements including parking lot, sidewalks and tennis courts. Copeland Administration Building - Toilet remodeling for ADA and HVAC system improvements for district offices. Al Ritt Stadium - a new synthetic turf football field, new team building with locker rooms, concession stand, public toilet rooms, pressbox, increased seating, new track and new track and field venues. 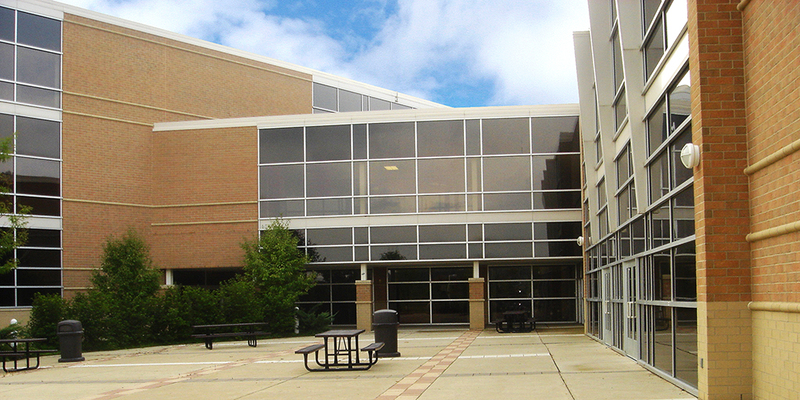 Other features include new security cameras and card-key readers in every district building, upgrades to classroom technology including interactive whiteboards and sound enhancement systems, upgrades to district technology including a new fiber network backbone and VOIP phone system and office and bus bay additions at the Transportation Building.